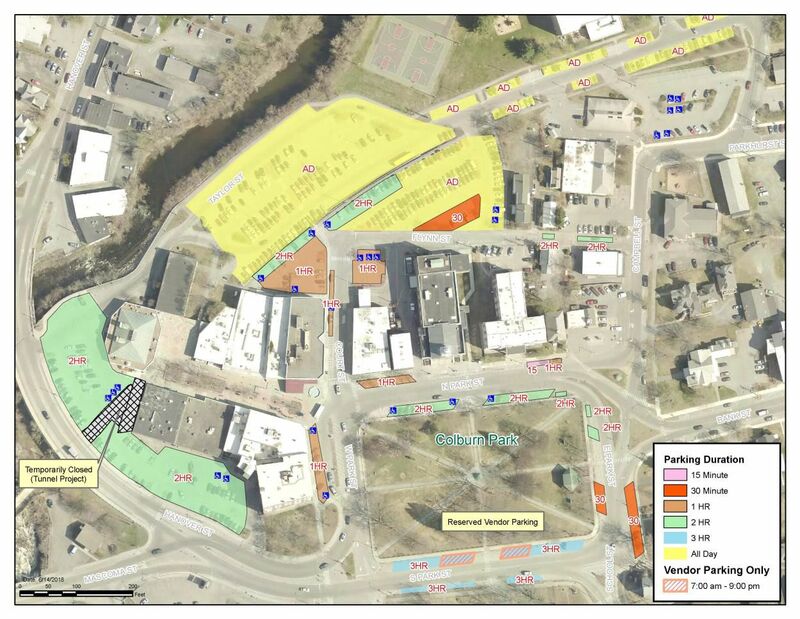 Lebanon NH – Above is an updated downtown Lebanon Parking Map that depicts the various timed parking zone in and around the downtown area. Those parking in the downtown area should take note of these areas and comply with the time limits on parking spaces. Those who park downtown should pay particular attention to the spaces labeled, “Vendor Parking Only.” These are located on S. Park Street and are reserved for food truck vendors daily from 7AM to 9PM. These spaces are clearly marked with “No Parking” signs. The Lebanon Police Department desires voluntary compliance with these parking ordinances so that the spaces have proper turnover and provide ample parking for all in the downtown area.